Today was a record high in Baton Rouge for May 15 – 96 degrees. We knew it was hotter today but didn’t know it was a record until tonight. It was sunny with scattered clouds. There were some scattered thunderstorms late afternoon but none at Francis Asbury. Today at Richard’s was about like yesterday. We were all very busy and didn’t take many pictures. 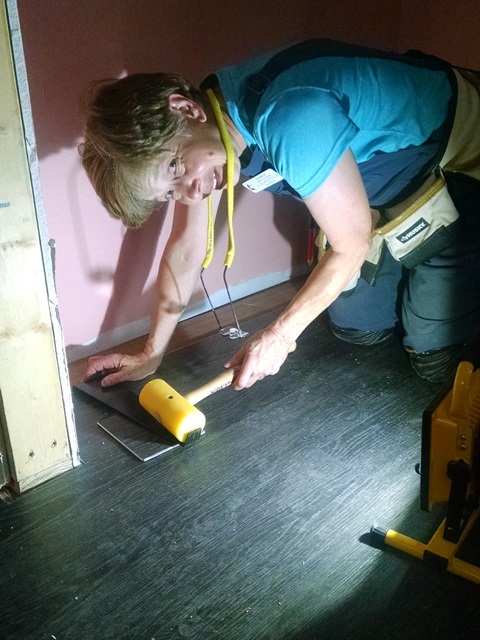 Max, Anne, Stel and Lisa on laminate flooring. 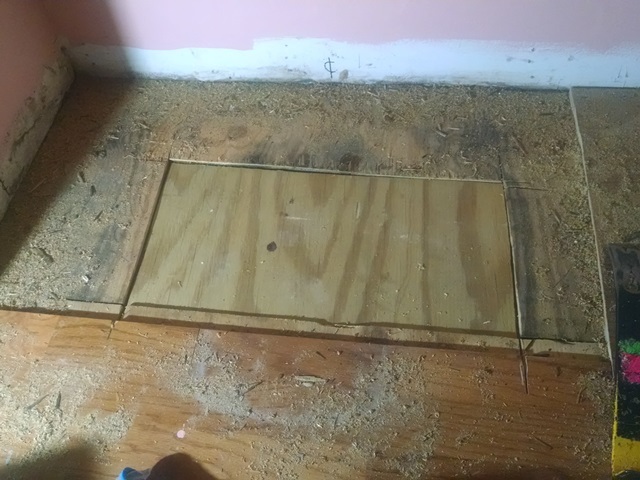 Max and Anne also repaired the rotten subfloor in the bathroom. 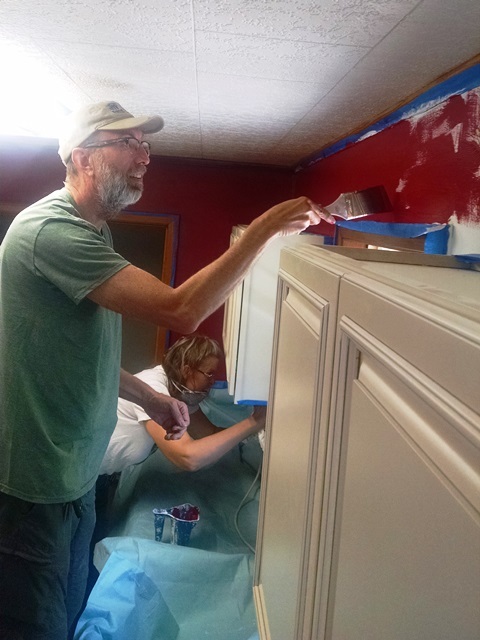 Carol, Mark, Susan and Paul painted bedroom 2 and the kitchen and trim. Most of the painting is now complete. Of course there is still touch up to be done and some areas may need another coat. 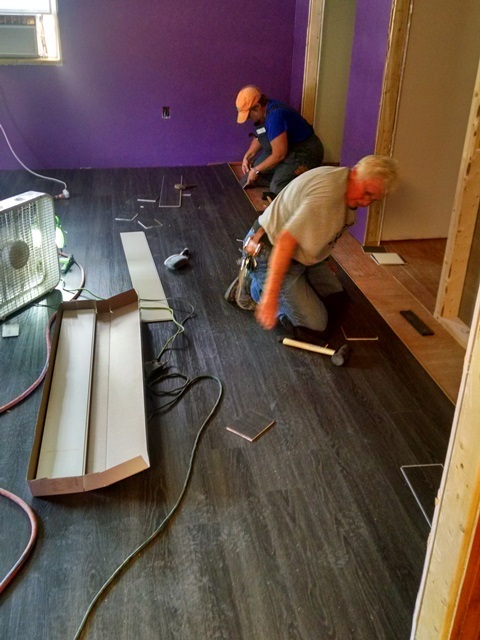 Dave, Carol and Mark installed the underlayment in bedroom two and the closet and bath so Stel and Lisa could start the laminate on that side. Mark and Dave also worked on electrical. We all did some clean up and trying to get the main room cleaned out a bit. We have got to get it empty in order to put the flooring down which we would like to do before Thursday afternoon. 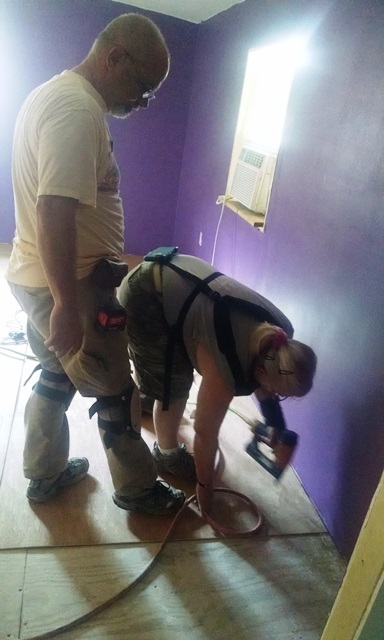 But, we also need to get some doors and trim installed. We have made lots of progress this week but still a long way to go. We probably won’t have everything done by Thursday but it will be very close to move in ready – we hope. This evening we again went to Forest park and walked a couple of miles.